Citing U.S. success, Trump has ordered most American troops in Syria withdrawn. 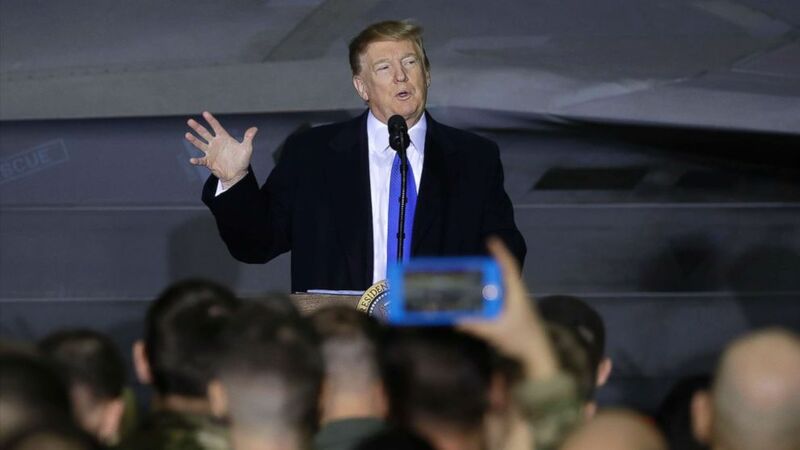 President Donald Trump claimed on Thursday that "100 percent" of the Islamic State caliphate -- the self-proclaimed Islamic state in Syria -- has been defeated. Beginning back in December, citing U.S. success in Syria, Trump has ordered most American troops in Syria to withdraw. 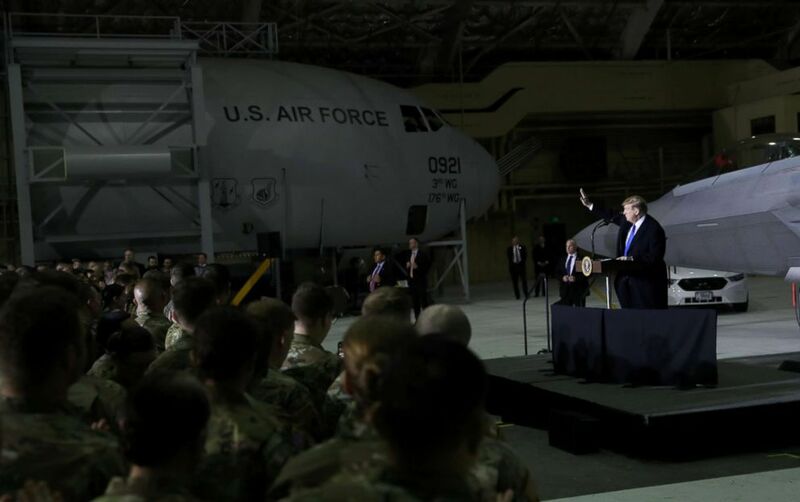 (Leah Millis/Reuters) President Donald Trump waves as he speaks to members of the U.S. military after his summit meeting with North Korea's Kim Jong Un in Vietnam during a refueling stop at Elmendorf Air Force Base in Anchorage, Alaska, Feb. 28, 2019. The Pentagon would not confirm the president's assertion about ISIS being defeated, instead referring ABC News back to the White House. Trump made the announcement while speaking to American troops in Alaska on a refueling stop on his way back from his summit with North Korean leader Kim Jong Un Hanoi, Vietnam that failed to produce a deal. "We just took over ... you kept hearing 90 percent, 92 percent, the caliphate in Syria. Now it is 100 percent. We just took over 100 percent caliphate. That means the area of the land. We have 100 percent," Trump said. "We did that in a much shorter period of time then it was supposed to be," he said. "It was supposed to take -- I will not tell you what a certain general told me. But I went and met a couple of other generals. And they said how long do you think it could take, general? One week, sir. One week? I heard two years. One week, sir. Let us do it the way that we want to do it. I said: General, do it.' And if so, what happened. We had the whole thing." (Evan Vucci/AP) President Donald Trump speaks to service members at Joint Base Elmendorf-Richardson, Feb. 28, 2019, in Anchorage, Alaska. Even as Trump made his comments in Alaska Thursday, the top commander of the U.S.-backed Syrian Democratic Forces (SDF), Mazloum Kobani, said that "in around one week we will declare complete victory over IS" referring to the Islamic State. According to Agence France Presse, the SDF was preparing to launch in coming days what it hopes will be a final offensive to take back the last pocket of the ISIS caliphate. Earlier this month, in remarks before the 79-member Global Coalition to Defeat ISIS, President Trump said his administration will “very soon” would be able to officially declare that ISIS was 100 percent defeated, at one point saying it could come in 24 hours. "They'll be informing us very soon officially that it's 100 percent," Trump said in remarks at the State Department, referring to his generals.